Add a splash of any color anywhere in your home and extend your decoration with the StripLED collection. It’s so easy to color your life! 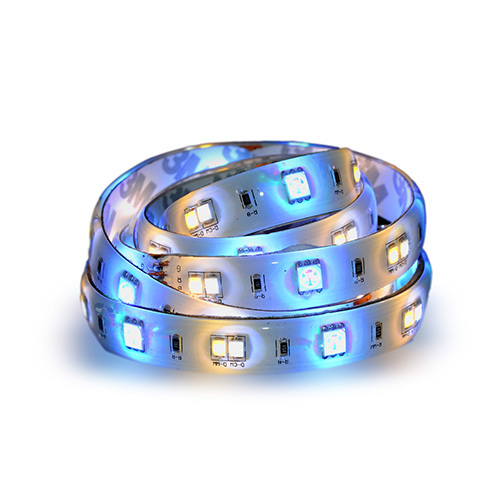 This decorative, energy-efficient LED ribbon is easy to control from a smartphone, a tablet or a smartwatch via the SmartCONTROL app or simply with the connected light switch SmartPEBBLE. It is possible to program lighting schedules to turn SmartLIGHT StripLED off & on from the app. The app also allows users to customize lighting by changing colors, brightness or the shade of white. No need to pull electric wires or to drill holes in the wall, SmartLIGHT StripLED is easily installed in any space you desire and lights up just as well as classic LED ribbons but with a longer lifespan. Free Application on Google Play, Apple Store and www.AwoX.com. Lighting colors: 16 million possible combinations.